Beautiful little guy. Gorgeous Husky markings and one blue eye. Very sweet natured and laid back. Bo should be about 30-40 lbs. as an adult. Bo is a 1st generation Huskimo 50% Siberian Husky and 50% miniature American Eskimo. Because he comes from purebred registered stock, Bo comes with CKC registration as a non-purebred. 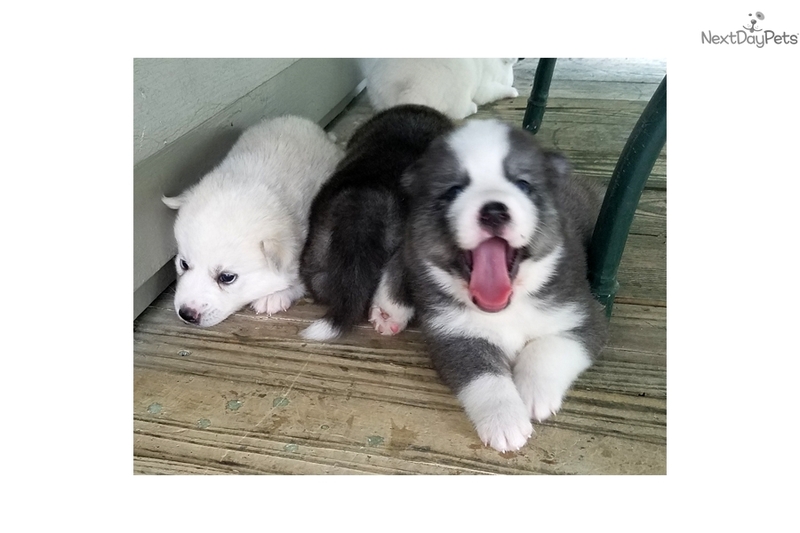 His vaccinations and heartworm prevention are up to date and he comes with a health guarantee and a super puppy starter kit that includes collar, leash, bowl, toy, food, treats, ball, comb, pads, scoop bags, etc. This little guy can be reserved with a $150 PayPal deposit. 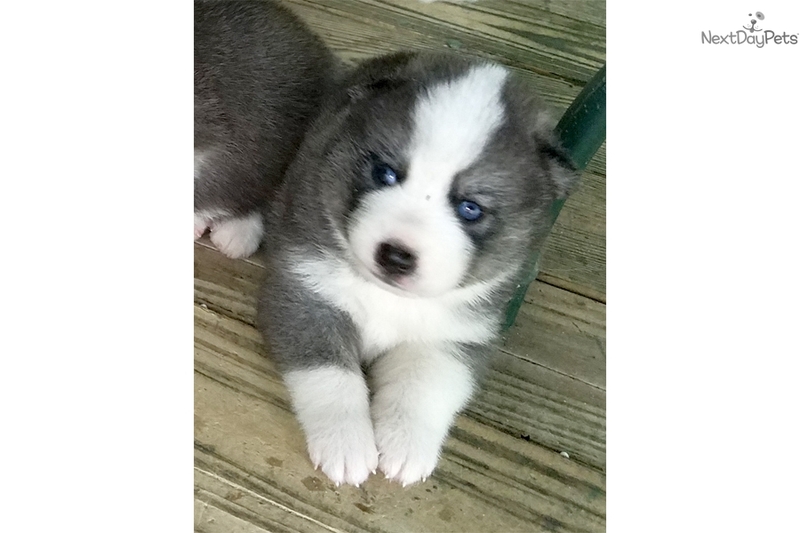 AlphaWind Siberian Huskies raises purebred CKC Siberian Huskies and non-purebred CKC Huskimos. All parents are on site. We do not ship but some new puppy owners have used overland pet transportation. We are located in Windsor, SC 29856.